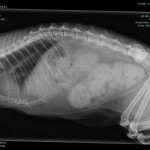 We hope your pet never needs any of this. But, if things go wrong, rest assured that we have the capability to handle the situation. We have a sophisticated dental machine with a scaler, polisher and drill. Dental health is an often overlooked aspect of caring for our pets but is an integral part of health care. Scaling and polishing teeth keeps them healthy and needs to be done on a regular basis for most pets. The new dental drill means that extracting rotten teeth is a quicker procedure and your pet can go home with clean teeth, healthy gums and no painful roots. Our in-house laboratory runs most blood tests on-site within a few minutes, giving precise information which enables us to make rapid decisions. Sometimes speed means life, as more accurate treatment can be administered. Blood tests are the best way to determine organ functionality, for example liver and kidney function, diabetes, anaemia and inflammation. A screening blood test run prior to an anaesthetic can give useful information that helps with making decisions, and administering the anaesthetic more safely. 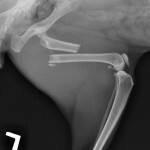 X-ray technology took a step forward with the advent of digital x-ray processors. 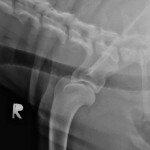 In our clinic all x-rays are digitally processed. 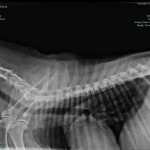 The benefit to your pet is that x-rays are processed faster. This means they spend a shorter time under anaesthetic or sedation which makes the procedure safer. Often more detail can be seen in a digitally processed image which means fewer exposures are needed. 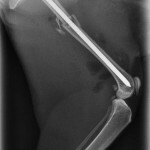 X-rays can be easily emailed or uploaded for a specialist opinion if necessary. 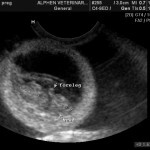 We have an excellent ultrasound machine and are able to perform diagnostic abdominal and cardiac ultrasonography as well as pregnancy confirmation. 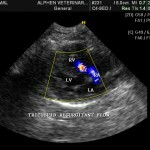 Ultrasound is the best modality to identify structural changes in soft tissue – for example within the liver, spleen and kidneys. 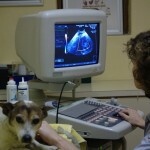 Under ultrasound guidance, samples can be taken accurately and safely in order to determine the nature of a problem. Pregnancy can be diagnosed from 15 days after mating. 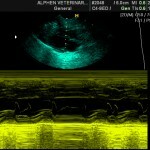 Colour Doppler technology shows blood flow which can give an indication of heart function, tumour aggression, foetus viability in pregnant animals and much more. Besides the equipment available, we have a hospital which is warm and comfortable for patients that need to stay for a while. 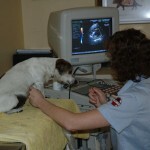 Our trained hospital staff live on the premises and can supervise patients at night. We’ve put a few interesting pictures in the gallery below, showcasing some of what this amazing technology can do. Click on each for a slightly larger image and a short description. If you click the picture again, you’ll get the full sized image.